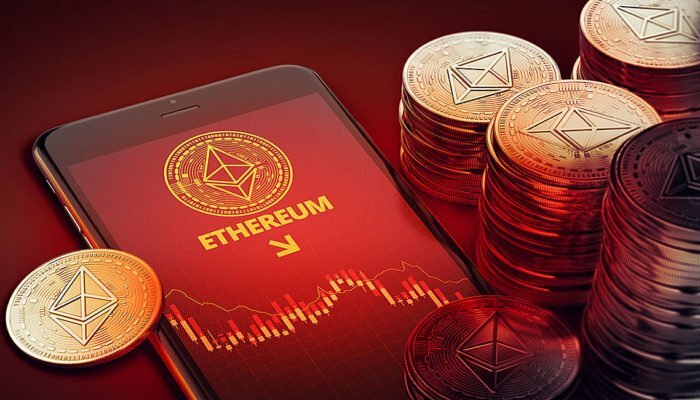 ETH price did not move higher above the $201 and $203 resistances against the US Dollar. Yesterday’s highlighted important bearish trend line is in place with resistance at $200 on the hourly chart of ETH/USD (data feed via Kraken). The pair could decline sharply if there is a downside break below the $196-197 support. Ethereum price is under pressure against the US Dollar and bitcoin. ETH/USD must stay above $196 to avoid a downside break in the near term. During the past few hours, there were mostly range moves below $201 in ETH price against the US Dollar. The ETH/USD pair failed to move higher above the $201 and $203 resistances, and declined slowly. There was a bearish structure formed after the price failed to break the $200.65-201.00 zone. The price also failed to clear the 50% Fib retracement level of the last drop from the $204 swing high to $198 low. More importantly, yesterday’s highlighted important bearish trend line is in place with resistance at $200 on the hourly chart of ETH/USD. The price is also trading well below the $201 pivot level and the 100 hourly simple moving average. If there is a break above the trend line, the price may struggle near $201-202. It represents the 61.8% Fib retracement level of the last drop from the $204 swing high to $198 low. A convincing close above the $201 level and the 100 hourly SMA is needed for buyers to start a decent recovery. On the downside, the $196 and $197 levels are important supports. Below these, the price may drop sharply towards the $185 level. Looking at the chart, ETH price is clearly following a bearish structure below $201. To recover, the price must break the $200, $201 and $202 resistance levels in the near term. Hourly RSI – The RSI is showing no recovery signs below the 50 level.